Max, Rusty, Ginger, and Tanner assume without question that their new classmate is just like them... a DOG. Do you eat mice?Can you walk on a leash? Do you use a litter box or go outside? Can you even wag your tail? 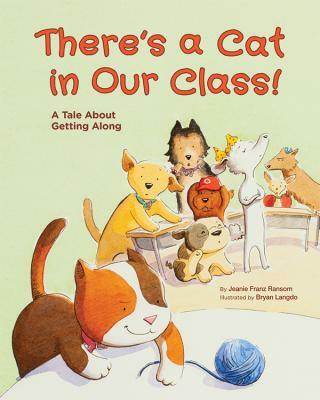 There's A Cat in Our Class is a kid-friendly exploration of diversity, teaching kids the value of not only accepting but embracing the differences of those around us. Includes a Note to Readers written by Gayle E. Pitman, PhD that discusses how parents, teachers, and other adults can talk with children about diversity in a way that's meaningful and effective.